Why Is Friable Soil so Important? The root growth of plants. The uniform development of the "eating part" of root vegetables such as ​potatoes and carrots. "Goldilocks" drainage: ground that strikes a balance between being sieve-like (that is, having the excessively sharp drainage characteristic of sandy soils), on the one hand, and having the poor drainage of clay soils, on the other. Such friable soil is usually termed a "loam." Clay soil (one of the three basic types of soil) can be problematic because it is not friable. When you scoop up a handful of friable soil and squeeze it, it is malleable enough for you to form a clump, unlike an overly sandy soil, which does not allow you to shape it. 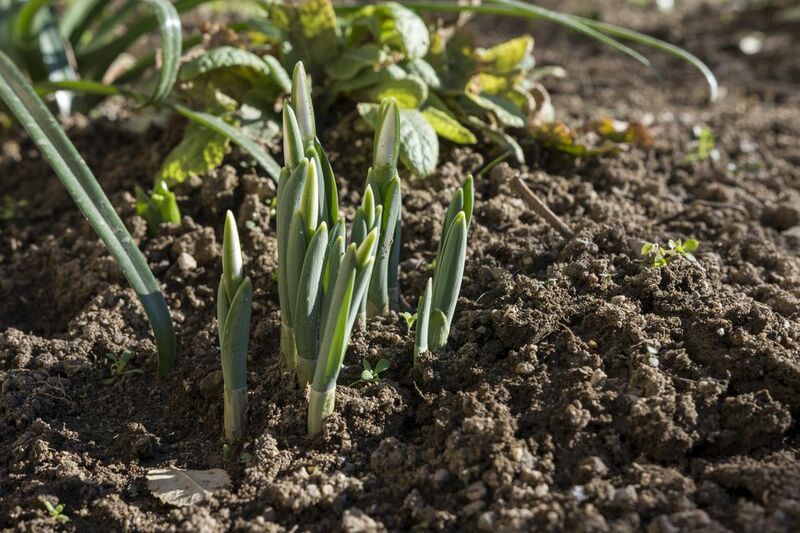 Unlike clay, a clump of friable soil easily disintegrates when you try to break it apart. The crumbly texture of friable soils not only permits roots and other underground plant parts to thrive. It also strikes the right balance in terms of drainage. That is optimal ground in which to garden drains well enough that it never becomes waterlogged, while, at the same time, retaining sufficient moisture to provide plants with an evenly moist medium in which to grow. The vast majority of plants prefer "Goldilocks" drainage and will perform optimally in friable soils. In most instances, it behooves you to improve clay soil and make it more friable. These and similar materials will eventually decompose in the soil, thereby improving soil structure. If you want to hasten the process, use compost. Anyone serious about achieving a friable soil in the garden should become acquainted with how to make compost. To work organic matter into the soil, you can use either a shovel (spade) or garden tiller. Some experts now warn against getting carried away with rototilling and doing it more often than is necessary. What Is So Great About Loamy Soils? Why Are My Dwarf Alberta Spruces Dropping Needles? Why Does Arborvitae Foliage Turn Brown? Why Are the Flower Buds on My Rose of Sharon Not Opening?